What Does a First Kiss Feel Like? What will my first kiss feel like? How long will my first kiss last? What if he/she does not reciprocate? 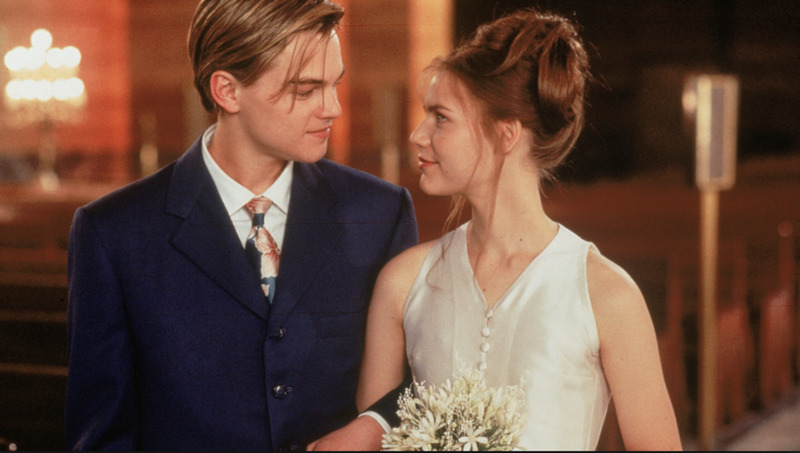 Will my first kiss be just like the movies? Will he/she use his or her tongue or 'french kiss' me? Will my first kiss be just like kissing the back of my hand? We will talk about it all. After reading this article, you will know all about the first-kiss experience and what to expect when you kiss for the first time. We will talk about kissing styles, the types or kinds of kisses and how to relax enough to enjoy such a passionate, special moment! Kissing Feels Like . . .
A first kiss feels like you are frozen in a moment in time. It's as if you can feel and hear the other person's heart beating. It's a bridge of energy being shared between two people. 1. The first kiss could be totally spontaneous. You may have been planning for the picture-perfect moment when you kiss your boyfriend or girlfriend for the first time at a certain place and time. However, chances are that it may not happen exactly the way you expected it to or thought it would. 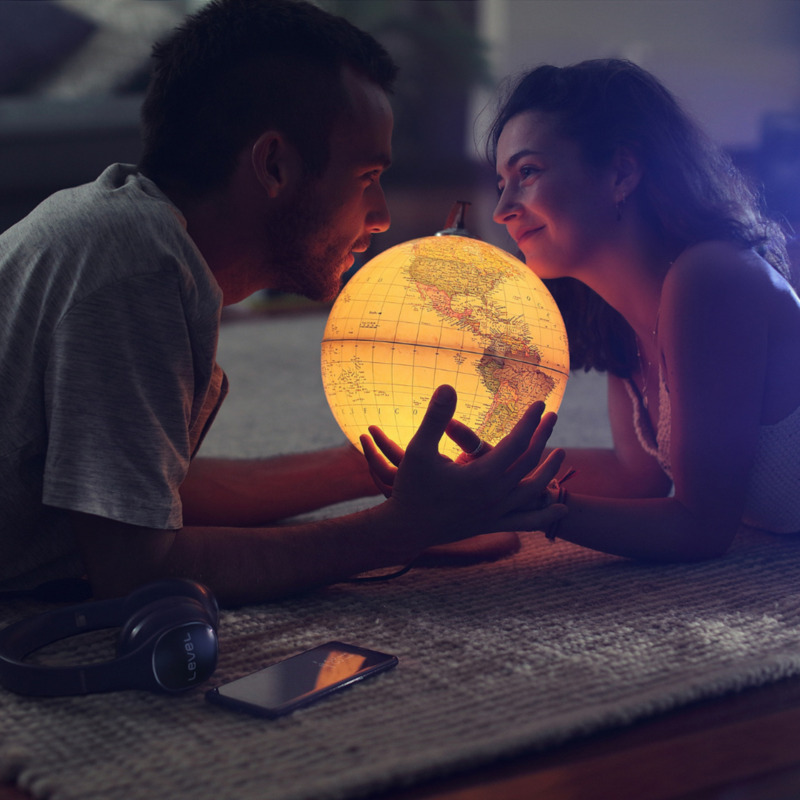 Your first kiss could happen at your place, in a backyard, at a party, in the bus, at his place when his parents are not around, on a chilly winter date, at a friend's place or at the most random of places. It could be as spontaneous as a lightning strike, so don't expect the precious moment to happen exactly at the time you want it to. 2. You will feel nervous when you kiss for the first time. Regardless of how much you have thought out your first kiss over and over again in your head, it may be that you will still feel nervous when you lock lips for the first time. If you really have deep feelings for the guy or girl who shares your first kiss, your mind is likely to go blank. Along with butterflies in your stomach, you may experience a pang of nervousness just before you lean in to your boyfriend, girlfriend or crush. 3. 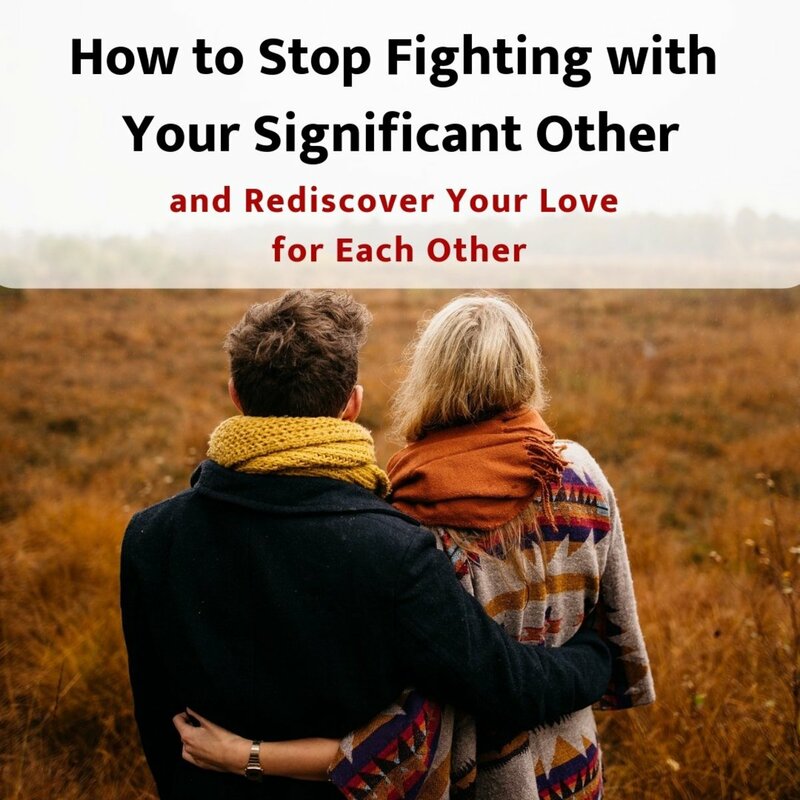 Your girlfriend or boyfriend may not reciprocate instantly. 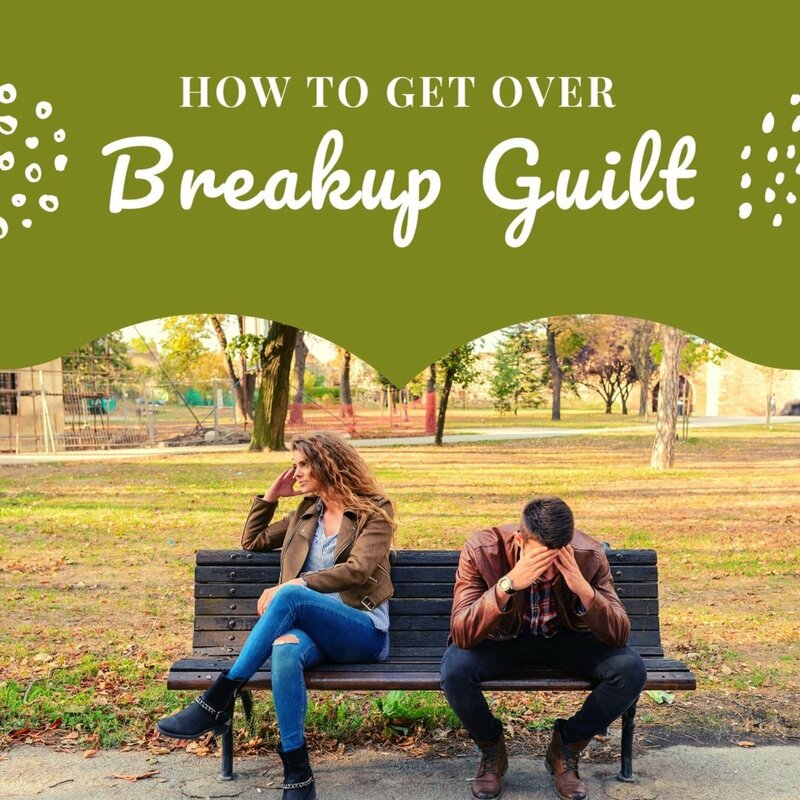 If you take charge and decide to make the first move, your guy or girl may be taken aback and left dazed. If this happens, he/she may not reciprocate instantly. Don't look at this as a sign of denial—it's natural for first-time kissers. Continue leaning in towards your partner. Sense the situation, and if you think that your boyfriend or girlfriend has been left stunned out of surprise, just plant a tender kiss and go with the flow. 4. Both of you could tilt your heads the same way. Unless either the guy or the girl has kissed before and knows how to take charge, both could amusingly tilt their heads the same way and fumble up the kiss in the beginning. This comic fumble is cute and the both of you are likely to giggle it off as you proceed to kiss each other for the first time. 5. You could bump noses, foreheads or faces. Don't feel bad if you bump noses with the guy or girl you lean in to kiss for the first time. It could be possible that either one of you comes in too fast or too slow, leading to a romantic nose bump or a funny forehead or face bump with each other. Nose bumps can happen when both partners tilt their heads the same way. A forehead bump could be in the cards if both the guy and the girl approach each other with downward-looking faces. Either way, treat it as something funny that just made your first kiss even more playful. 6. 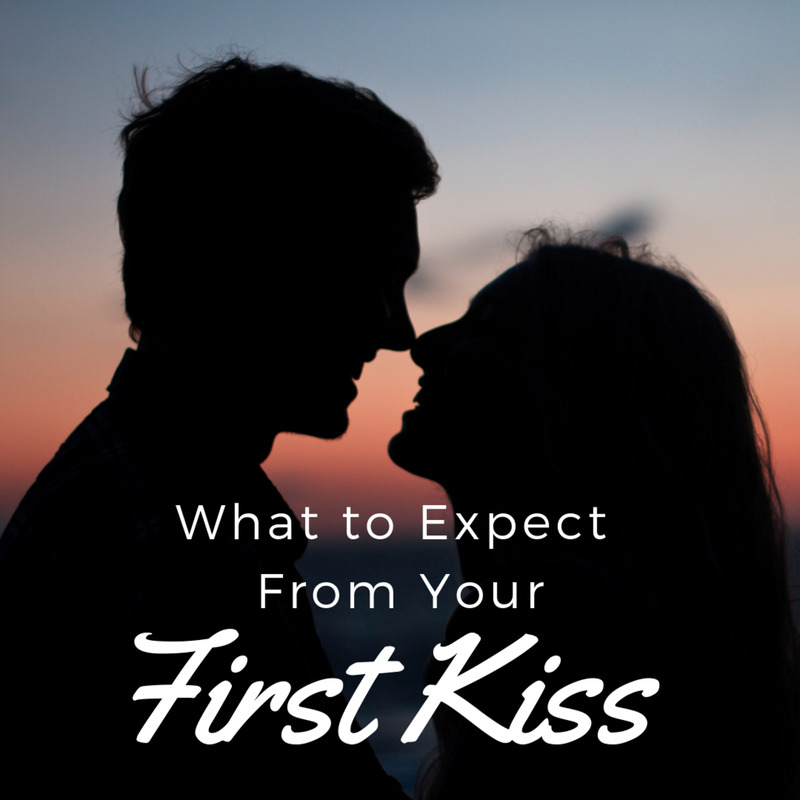 Expect your first-kiss experience to be soft and tender. First kisses are generally not as intense as the ones partners usually share as their relationship progresses inside the bedroom. Expect your first kiss to be tender and soft. Both of you are likely to be in exploring mode—that leaves little room for a bumpy ride. If this is your first kiss, it is totally normal to kiss with your mouth closed and give a peck. 'French kissing' with an open mouth is generally reserved for more experienced kissers—for men or women in long-term relationships. So, take the pressure off your first time and enjoy the passionate moment without the high expectations on performance. 7. Don't expect lip biting when you kiss for the first time. Kissing for the first time is a discovery for both the guy and the girl. Unless your partner is an expert kisser, both of you are likely to stay away from any kind of lip biting or nibbling. Don't be afraid and don't speculate about whether it will hurt if he/she bites, because the chances of that happening are slim. Not to mention, biting is another way of referring to a gentle nibble when kissing . . .
8. Your first kiss could be over very quickly. Unless there is tongue action, which is unlikely, your first kiss could be over quicker than you expected it to be. But even if it lasts only a couple of seconds, it will be etched in your memory as the longest most passionate few seconds ever. Slow-motion, romantic kissing scenes in the movies seem to last for eternity, but in real life, a short but tender lip-lock could be all you get for the first time. Don't be disheartened, and if you think that your first kiss was over too soon and went too fast, lean in for another go. 9. You could giggle and laugh afterwards. The first-kiss experience is a jolting concoction of emotions, racing heart beats, nervousness, fumbles and happiness. The exciting moment may leave you giggling with a jolt of romantic happiness up your spine or butterflies in your stomach. 10. First kisses could be sloppy if there is tongue involved. Generally, there is not much of tongue action involved in the first kiss. But if your first kiss transforms into a romantic make-out session, expect the tongue to venture out, depending on your appetite for intimacy. Licking may be the natural thing to do after both of you have explored and felt a tender touch on the lips. This style of kissing is also often referred to as 'french kissing' or 'making out'. Unlike seasoned kissers, you and your guy/girl are likely to lick all over each other's lips, inside and out. And as tongues find their way deeper into each others' mouths, your first kiss will go from dry to sloppy to wet (yes, be prepared for saliva on the face!). Get physically close—brushing shoulders, hugging, dancing, etc. Calm your heart beat. You may be nervous, but focus on your breath and relaxing. Wet your lips or mouth. Drink something or apply neutral-smelling chapstick. Avoid dry lips or a dry mouth. Keep it passionate. A first kiss does not have to be sexual or seductive in any way. It can be tender and thoughtful. Enjoy the moment and the person! Enjoy your partner's scent, the warmth of your closeness and the synchronicity of your breathing. Men and women base some of their compatibility on natural scent. Keep the kiss sacred. Think about how you felt when someone told a personal fact or secret about you to others without your permission—as much as you want to gush about the moment, try to keep it private until both of you feel comfortable sharing the details with friends. While making out is its own 'thing', it's not something to aim for during a first kiss. A good first kiss doesn't have to be hot and steamy or of the advanced kind of kissing, like a french kiss. According to an article, 'What’s in a Kiss? The Science of Smooching' by the British Council, 'Approximately 90 per cent of cultures kiss, making a strong case for the act being a basic human instinct'. Whereas the remaining 10% of people in various cultures engage in other intimate behaviors like rubbing noses or touch in other ways, kissing plays an important roll in human behavior. We simply enjoy it! The body has certain regions or arousal areas called erogenous zones, and the lips or mouth is one such location where our senses are heightened. That means our brain receives a chemical elixir of all sorts of good hormones, which includes dopamine, oxytocin, and serotonin. Of these hormones, oxytocin is know as the 'love' hormone, and helps us to develop feelings of security and attachment. Oxytocin is also a powerful anti-stress hormone. It literally lowers the stress hormone, cortisol, in the blood! Regardless of how many times you have practiced the moves you are going to pull off when you lean in to kiss your boyfriend or girlfriend for the first time, a first kiss seldom goes according to plan. As with any form of first-time intimacy, the magical moment will take its own turns. Don't drown yourself in a sea of expectations from the very moment you start thinking about kissing a guy or a girl for the first time. Your life is not a movie set. Feel free to share your first kiss with someone who you think is worth feeling happy and sad for. Forget the expectations, and embrace your kiss the way it turns out to be. cute I wish I could have my first kiss now . Well I wonder when you have your first kiss is that will it feel ashamed . I cant wait until my very first kiss :). i really wish that my ex-crush gave me a kiss.. he was too shy though. i can see why. we were only in 6th grade too! My first kiss was bad, I cringe every time I think of it. I was just not ready at all but the guy was super persistent to be physical and I thought I liked him... moral of the story NEVER EVER let someone pressure you at ALL. I Had My First Kiss with this boy Tavion I can't get him out of my head and I still have deep feelings for him is there something wrong with me?? i wish i had a boyfriend. not just to kiss, but to just have to cuddle, hug, and hang with. Its not always just a guy and a girl. I have never been hugged or kissed by a guy. I'm 16 is that bad. my first kiss wasn't awkward and I didn't felt nervous at all. It just happened. the kiss was soft and lasted seconds. After that we just giggle. I would really like to know how it feels and I cant wait! Trust me on this, my first kiss happened yesterday and it was not what I was expecting. It was more of a peck than an actual kiss. Can a do-over first kiss exist? It wasn't a bad first kiss, but it really was NOT what I was expecting from him. Thank for sharing that with me! I have no idea what to expect from the first kiss at all. I've never kiss anyone before and I would like to know how would it feel to kiss someone for the first time, (just if I have a boyfriend!, LOL). Ahhh!, I can't wait! I had a problem with my boyfriend we don't even talk any more thing are get worse.i need a advice . "Your life is not a movie set – Feel free and share your first kiss with someone who you think is worth feeling happy and sad for. Forget the expectations and embrace your kiss, the way it turns out to be." I love how you wrote it so much, I may share it with someone else! I wish I could let a guy kiss me. A great hub;original and useful I am sure.